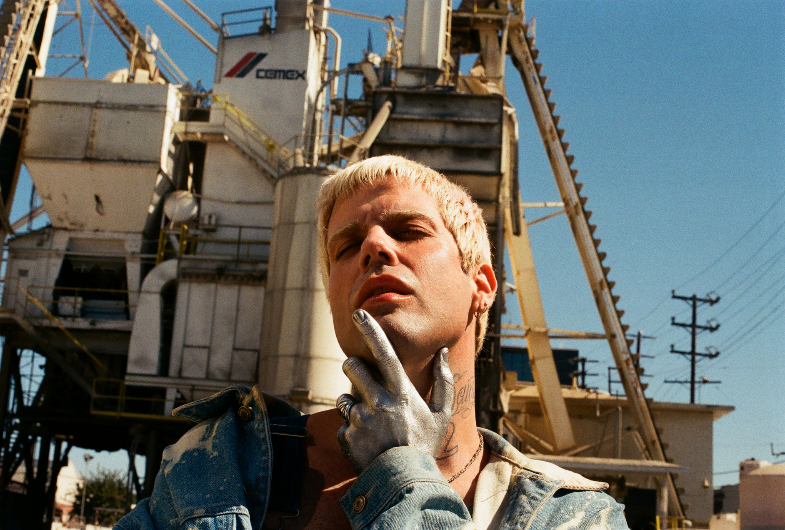 Rising pop artist Jesse Saint John has stepped out away from his pen game, writing with some of today’s biggest stars, and has been releasing his first solo songs. John has curated a playlist of his current favorites to bring you into his world a little further. This is the first song I released and the first song I ever fully recorded and thought to myself, “Hmm, if I ever did an artist project, this could be something I’d release.” It’s a great jumping-off point for my artistic vision. A defining moment for my youth and my love of blog-haus music. It sounded so fresh and ethereal and hard, it shook me and my little ears when I first heard it. It still goes off. Similarly to Passion Pit, this song had such an interesting perspective and use of blended, rhythmic sonics. It’s like a dance song, but it feels cerebral and keeps you guessing all the way through and then has that insane break at the halfway point. Genius. This song shares a mid-tempo lush pallet with my song FAKE IT. Best song from one of the best albums of the past 5 years. Carly Rae and Dev Hynes are two of my heroes. I wrote with Carly Rae once and she blew my mind. Total pioneer. Sam was the first gay guy I saw in media when I was younger and thought, “Wow, he’s kinda like me!” I’m a massive fan and so many great pop songs have emulated this song since it came out. I’m incredibly honored to have a co-writing credit on this song, but it’s so all Lizzo. She’s such a singular force and her whole artistic output is so inspiring and inclusive and self-celebratory in a non-preachy way. She’s an actual queen. Another song I’m honored to have co-written. Charli is an icon in this era of pop music and the ways it can bend and reach and affect people. POP2 is so ambitious and experimental and will be remembered for pioneering the way pop is created and consumed. Kim is an amazing pop songwriter, first and foremost, and she and I have a common thread in that we are students of pop. This song slaps you across the face and feels so current, but reminds you of every great, bratty, materialistic, and strutty pop song in history. His melodic flows are so interesting and so catchy, but unpredictable. The first listen you’re like, “Wait, what’s this cadence? !” But, by second liste,n you have it stuck in your head. He’s a genius and what a great song. SSION is a hero for me. So cool and strange, but making incredible pop music. This song like made me cry when I was younger and I had no idea why, but it’s so indicative of my music now. The shouting and the dance-ability mixed with the slightly somber message of losing out on love and the gender-bending lyrics make it an all-around brilliant song. Of all the songs I wish I had written, this is the one I wish I had written the most. It’s perfect.